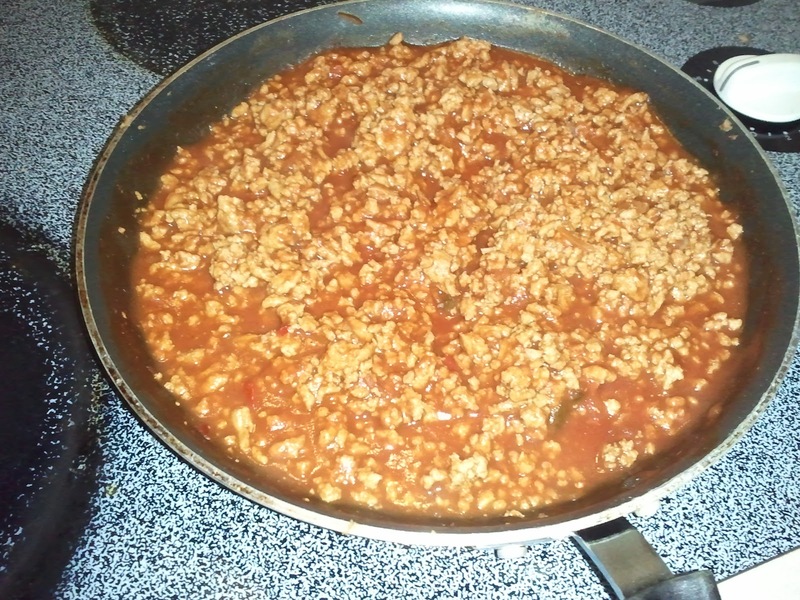 Robyns Simple Life: Cheap and Easy! 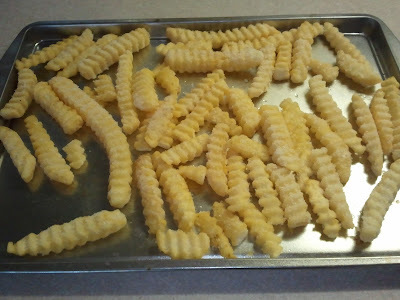 Yep, thats what I said, Cheap and Easy.. Now for those of you who have a depraved wonderful mind like my own, get it out of the gutter.. Im talking food people.. food!! All you need is one can of Manwhich Mix, whichever one you prefer. Cook up yourself some Pasta.. Any kind. It's totally up to you! And then bake some french fries..Now I wouldn't normally serve both fries and pasta together but, Mr L. requested it so he got it..
Pour your meat and Manwich mix over everything and Wah-lah! A yummy delicious dinner for pennies on the dollar..
Hi Robyn! I love this too and think it look so good over the pasta! 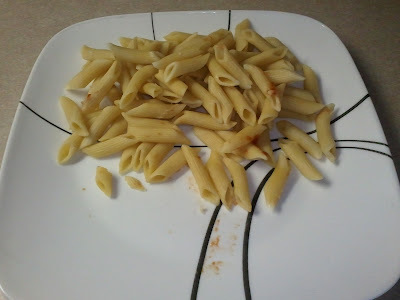 I usually think of serving on a bun but like the idea of using a favorite pasta. It is not on our diet , but looks so yummy. We were at some restaurant this past month (I don't remember where) and they served a dish like this with the fries and the meat sauce and then covered it all with Cheese! (it was at a fast food place as we were driving somewhere...I normally am good and have a salad or just a plain baked potato with ketsup ;-) at the fast food places , lol. Here in Canada we can't get that, but oh am I craving it now, lol. 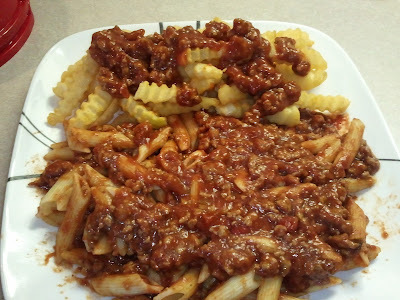 Really fries, pasta, and sloppy joes, sounds so good, and so bad for us ha too bad. Hi Robyn! 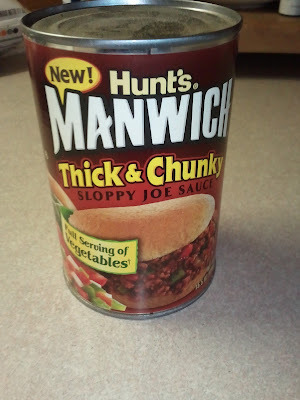 I have never used Manwich before. But I always liked the commercials. I would love to hear more about your chickens! I love having chickens! I had a Llaso Apso too. Ha ha ha... laughing at Nannykim's comments... she cracks me up. Now, because it's Turkey ...I would do this meal. We've not eaten red meat in a while, last week I had Spaghetti made with Beef... and well, it sure didn't agree with us. For us, it's Turkey or Venison...mmmm! this actually sounds good with pasta. I'll try this next time! Hi there, This looks like a great meal. I will have to give it a try but somehow using gluten free noodles can change the whole taste.